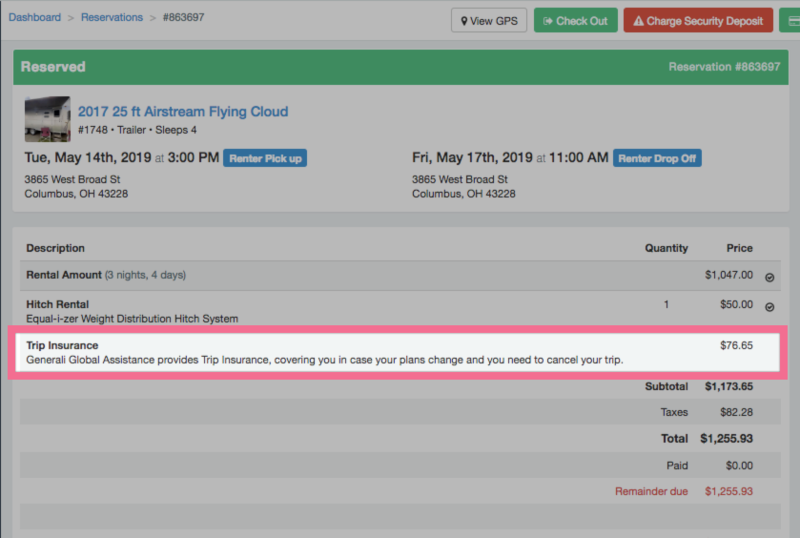 If you have Trip Insurance enabled in your Premium Services, your renters booking on your website will be offered Trip Insurance to add to their booking. What is the incentive? For every booking booked from your website with Trip Insurance included, you will receive a commission! How much is the incentive? You will receive 7.5% of the Trip Insurance price the renter pays. PLEASE NOTE: This incentive only applies on bookings for your own renters (not Outdoorsy.com's customers). How do I get paid? When the system deducts the cost of the Trip Insurance from the deposit to your payout, we will withdraw less than what the renter paid you. In the example below Trip Insurance is $76.55 and your commission is $5.71, so the system will only deduct $70.84 from your payout.